Posted June 20, 2018 by Seán Kinane & filed under Health, Health care, Mental Health, News and Public Affairs. This month there have been two high-profile Americans to die from suicide, drawing attention to suicide prevention and treatment of mental health issues. Wednesday evening in Tampa an author will talk about how to recover from one illness that sometimes results in suicide. 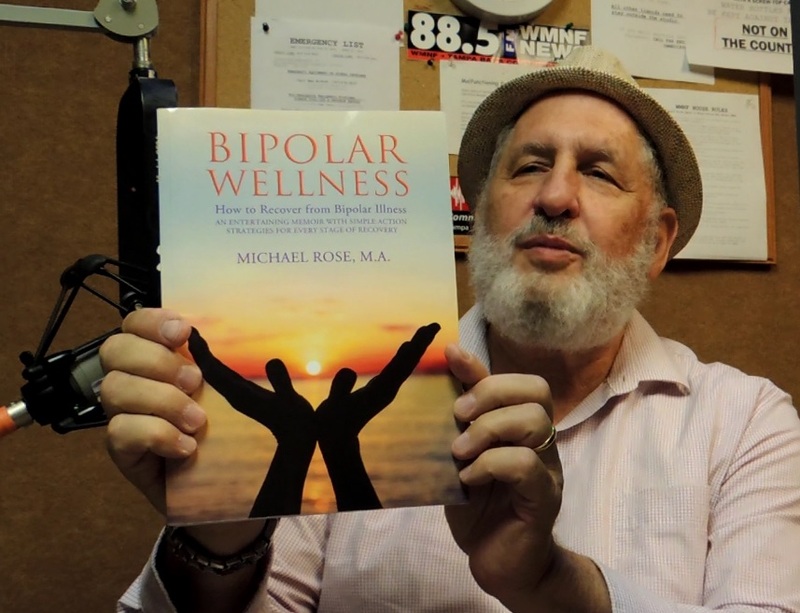 WMNF News spoke with Michael Rose about his new book called Bipolar Wellness: How to Recover from Bipolar Illness. We’ve seen some cases of high-profile cases where people have died by suicide lately. What can you say about the idea that this is now in the consciousness of a lot of people? And part of this book is how to get better. You talk about a nutritional approach to treatment for bipolar? Rose is speaking Wednesday evening (June 20, 2018) at St. Joseph’s Women’s Hospital located at 4321 North MacDill Avenue in Tampa beginning at 7:00 p.m. For more information: 727-410-1569.